Ole Kristian Dahl (born in Trondheim, grew up in Stavanger Norway, ) is currently professor at the Staatliche Hochschule für Musik und Darstellende Kunst – Mannheim and solo bassoon in the WDR Symphony Orchestra – Cologne. He began playing bassoon at the age of twelve, and at sixteen began studying with Robert Rønnes at the University of Stavanger (Norway). He continued his studies at the Conservatoire Superieur de Musique – Genève (Switzerland) with Professor Roger Birnstingl where he won first prize at the CIEN Riddes Schweiz competition in 1998. In the same year, he won his first job as solo bassoon in the Malaysian Philharmonic in Kuala Lumpur and completed his studies in Geneva. During his time in Malaysia, Ole continued his studies at the Hochschule für Musik, Theater, und Medien- Hannover (Germany) with Professor Dag Jensen. 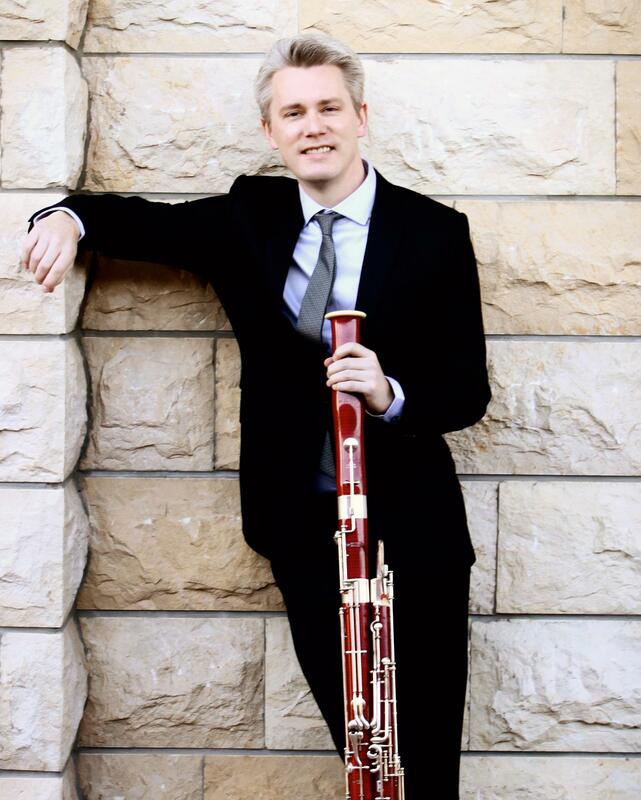 In 2000 Ole won the solo bassoon job in the Danish National Radio Symphony Orchestra in Copenhagen (Denmark), and in 2002 won the same position in WDR Symphony Orchestra- Cologne (West Deutsche Rundfunk Sinfonieorchester Köln) where he is currently playing. In addition, he has played with the Berlin Philharmonic, Munich Philharmonic, NDR Hamburg, DSO Berlin, Chamber Orchestra of Europe, Oslo Philharmonic, and Norwegian Chamber Orchestra. He has also performed with the Linos Ensemble. As soloist, Ole has performed with the Stavanger Symphony Orchestra, Kristiansand Symphony Orchestra, Malaysian Philharmonic, Oulu Symphony Orchestra, Cologne Chamber Orchestra, European Union Chamber Orchestra, Virtuosi di Kuhmo Chamber Orchestra, as well as a live recording of the Mozart concerto with his own orchestra WDR that will come out under the Lawo Classics label. As a dedicated educator, Professor Dahl has taught at the Royal Danish Academy of Music in Copenhagen, Carl Nielsen Academy of Music in Odense, Royal Academy of Music in Aarhus, Folkwang Universität in Essen, and in 2008 won the professorship at the Musik Hochschule in Mannheim where he currently teaches as the successor of the renowned Professor Alfred Rinderspacher. His students hold/have held jobs in orchestra such as NDR Hamburg, Danish Radio, Swedish Radio, Rotterdam Philharmonic, and CBSO Birmingham. Ole’s passion for teaching has resulted in a high demand for master classes all over the world! In Germany he has given master classes in the Musik Hochschule in Hannover, Cologne, Frankfurt, Stuttgart, and Düsseldorf, and has collaborated with Uwe Henze GmbH in Neuss and Mannheim. His masterclasses in Europe include the UDK Vienna, CNSMD Lyon, Donizetti Conservatory Bergamo, Milan Conservatory, Sibelius Academy in Helsinki, Hochschule für Musik Basel, Hochschule für Musik Bern, and the Universities in Geneva and Lausanne. In Asia, he has taught at the National University of Korea in Seoul, and at Nonaka in Tokyo, and in the United State he has taught at the Colburn School in Los Angeles, California. In the UK, Ole has taught at the Birmingham Conservatory, Guildhall School of Music in London, and the Royal College of Music. In Scandinavia he has taught at all the major Norwegian, Danish and Swedish academies. He has taught and played at numerous summer festivals in Scandinavia such as the DKDM- Summer Campus, Hardanger Music Festival, Elverum Festspill, Risör Festival, Aurora Music Festival, Cruxell Week, and at the Aimpne International Music Course in Mondoñedo, Spain. He was also in the Jury for the Orhan Nuri Göktürk Bassoon Competition in Bursa, Turkey. As a woodwind coach , Ole has worked with and conducted ensembles such as Helsinki Philharmonic, Danish Radio Sinfonietta, Aalborg Symphony Orchestra, Norwegian National Opera in Oslo, Norwegian Radio Orchestra, Kristiansand Symphony Orchestra, Trondheim Symphony Orchestra, Norrköping Symphony Orchestra, and the Malmö Symphony Orchestra. Ole plays a fourteen-thousand Heckel with a CC1XL bocal.